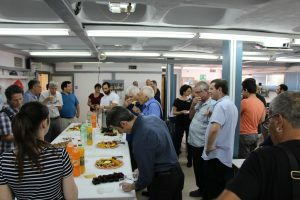 The Autonomous Navigation and Perception Laboratory (ANPL) dedication ceremony was held on October 24, 2017. 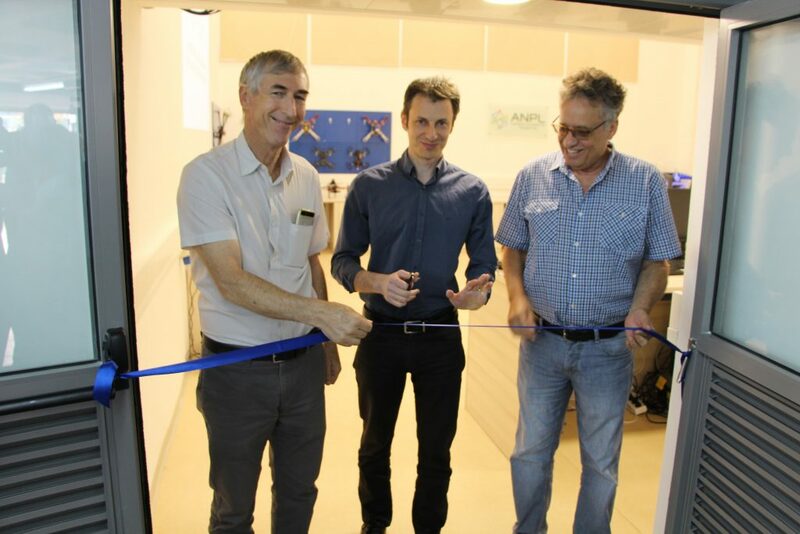 The lab, headed by Assistant Professor Vadim Indelman, was opened with a ceremonial ribbon cutting, followed with addresses by Prof. Adam Shwartz, Senior Executive Vice President of the Technion, and Prof. Jacob Cohen, dean of the faculty of Aerospace Engineering. 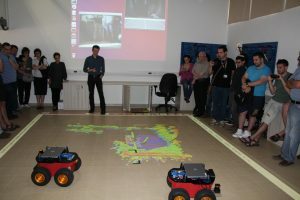 As part of the event, a live demo involving two ground robots navigating and mapping in an unknown GPS-deprived environment was conducted.The robots are equipped with various sensors, such as laser scanners that provide spacial range observations, and RGBD cameras that provide in addition to images also 3D pointclouds representing the area in vicinity of the robot. 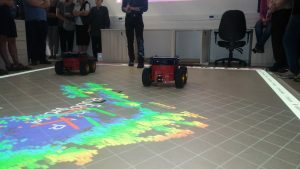 During the demo, data arriving from laser scanners and RGBD cameras was used to infer the robots’ states/trajectories, and to reconstruct a 3D map while accounting for different sources of uncertainty. 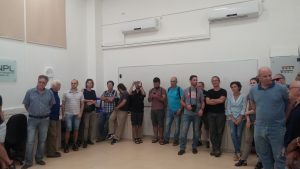 For enhanced estimation accuracy, multi-robot constraints were formulated by identifying instances whereby the two robots observed the same scene, not necessarily at the same time. The corresponding laser scans and/or 3D pointclouds from different robots were then matched and the resulting relative pose transformations were used to improve estimation accuracy within the framework of a graphical-model based probabilistic inference. During the live demo, projectors at ANPL were used to show this process in real time, including projecting the 3D map on the floor. Congratulations to Asst. 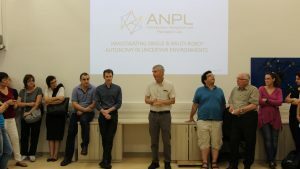 Prof. Indelman and the entire ANPL team ! 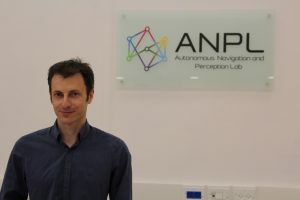 The Autonomous Navigation and Perception Laboratory (ANPL) investigates problems related to single and multi-robot collaborative autonomous navigation and perception, with a particular focus on online, accurate and reliable operation in uncertain and unknown environments. 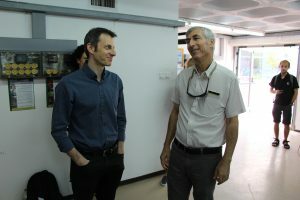 The lab was founded by Assistant Prof. Vadim Indelman in 2015. 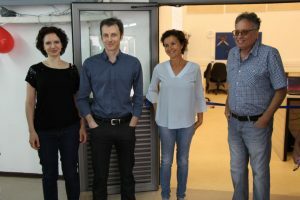 Research in the lab is highly multidisciplinary, involving topics such as sensor fusion, SLAM and navigation in GPS-deprived environments, robust perception, decision-making and belief space planning, both for single and distributed multi-robot autonomous systems. Applications span a wide range of problems in mobile aerial and ground (indoor and outdoor) robotics. 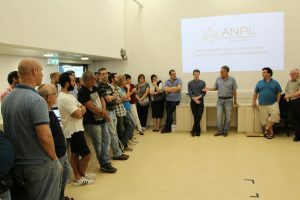 ANPL’s interdisciplinary research group comprises staff and graduate and undergraduate students from different departments, including Aerospace Engineering, Computer Science and the Technion’s Autonomous System Program (TASP). 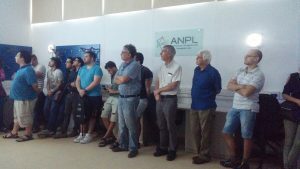 We at ANPL are always looking for highly-motivated candidates to join our research group.